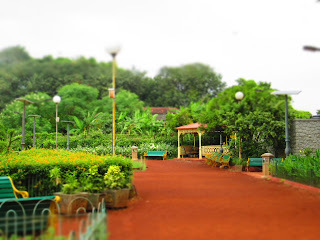 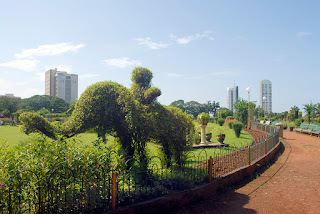 The Hanging Gardens, in Mumbai, also known as Pherozeshah Mehta Gardens, are terraced gardens perched at the top of Malabar Hill, on its western side, just opposite the Kamala Nehru Park. 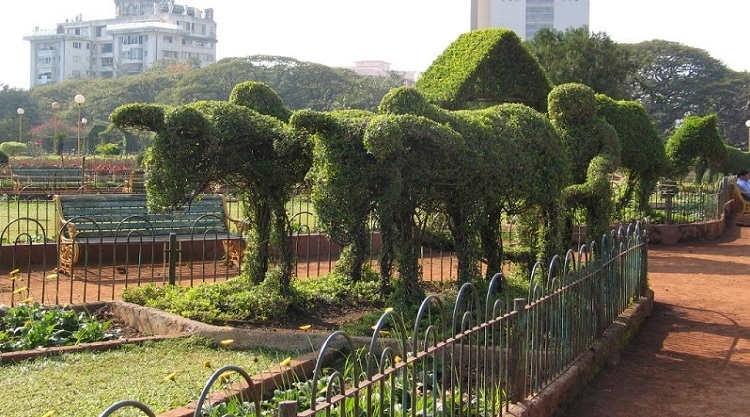 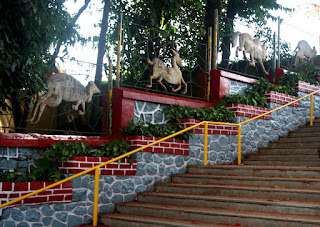 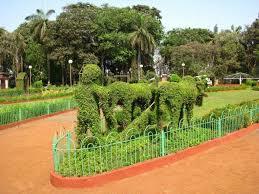 They provide sunset views over the Arabian Sea and feature numerous hedges carved into the shapes of animals. 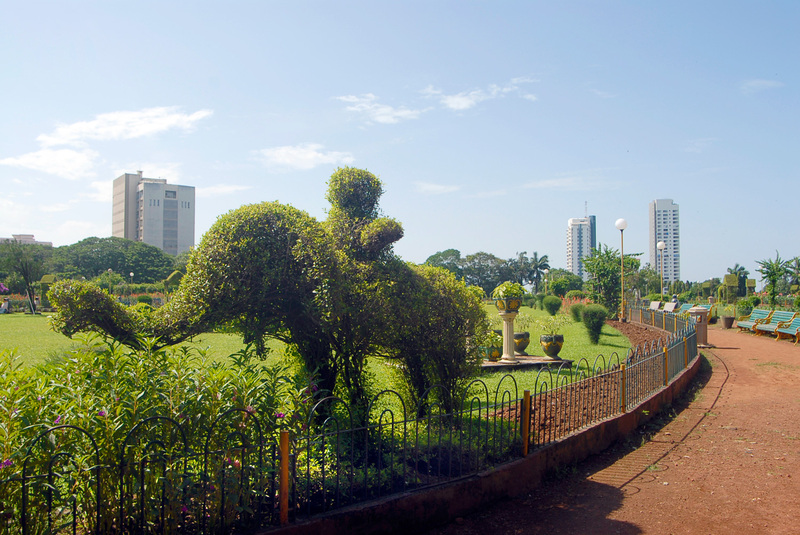 The park was laid out in 1881 by Ulhas Ghapokar over Bombay's main reservoir, some say to cover the water from the potentially contaminating activity of the nearby Towers of Silence. When seen from the air, the walkway inside the park (Hanging Gardens Path), spell out the letters PMG (Pherozeshah Mehta Gardens) in cursive.